A mecca for keen photographers, those interested in historic lighthouses and maritime history and the best place to view the heavens at sunset and at night for star gazing. The heritage listed lighthouse and two lighthouse keepers’ cottages are the oldest buildings in the Whyalla area. Completed in 1883, the lighthouse eased the way for maritime traffic around Point Lowly. The original 15 metres tall tower was extended by eight metres in 1909. Manned for 90 years, the Point Lowly beacon became automated and was eventually delisted from the Australian Maritime Safety Authority register. Since 1995, the lighthouse has been owned by the City of Whyalla. 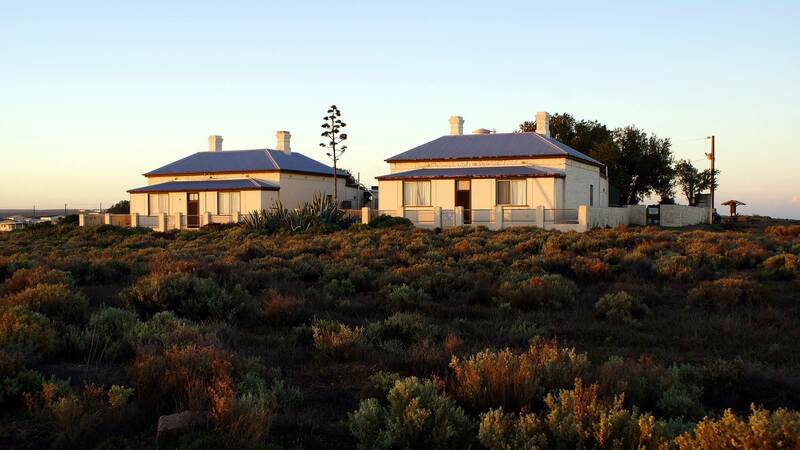 The cottages are available for holiday accommodation through the Whyalla Visitor Information Centre.